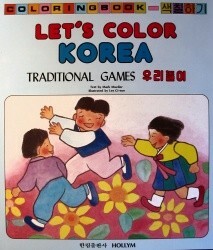 Produktinformationen "Let`s Color Korea: Traditional Games"
The wonder and joy of the games of Korea have been magically captured in this coloring book. This book explains the original significance of each game and also explains their rules. Weiterführende Links zu "Let`s Color Korea: Traditional Games"
Unser Kommentar zu "Let`s Color Korea: Traditional Games"
Kundenbewertungen für "Let`s Color Korea: Traditional Games"